If you haven’t heard of Jeni Lee yet, it’s time you did! Her beautiful abstract pieces are some of our best-selling artwork. 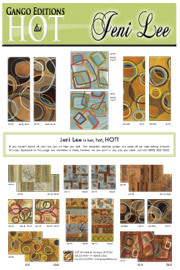 Download our new Jeni Lee Hot List today and see what you’re missing. Keep coming back to the Design Lab for more hot themes!